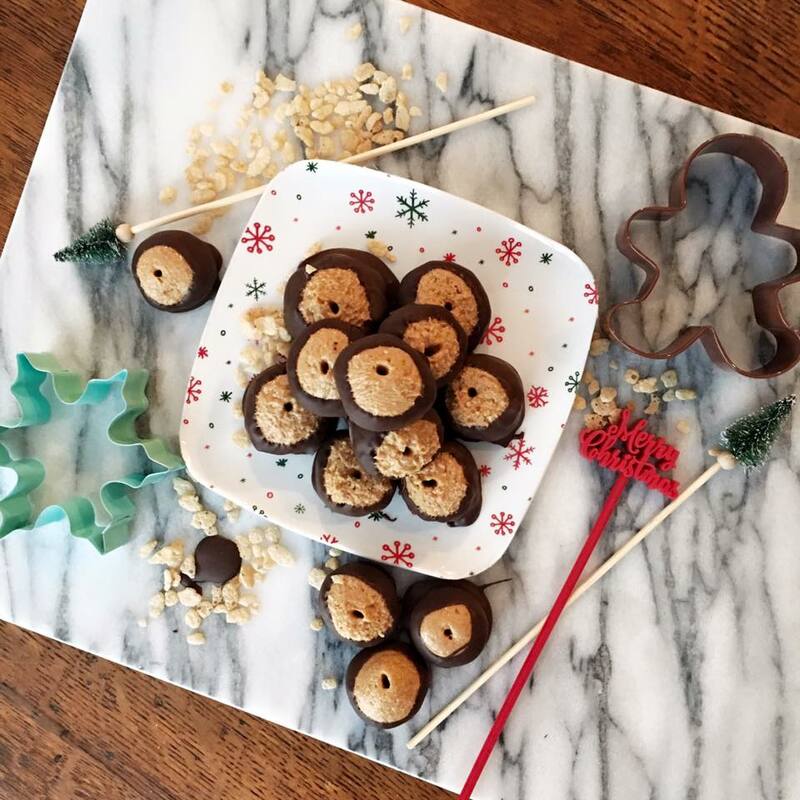 One of my favorite parts of the holiday season is the excuse to bake (& sample) every delicious treat that comes to mind. Every year I spend a full day in the kitchen with my Mama. We bake a variety of treats for our family, friends and neighbors. It makes the perfect, handmade gift. Year after year I always have my favorite treat, buckeyes! Peanut butter mixed with chocolate is my love language. It’s one of my all time favorite foods, only to be followed closely by anything mint chocolate and mexican food. I can never resist sneaking a tub of buckeyes home with me to Chattanooga after we bake them. Nothing makes the road trip home sweeter, literally! 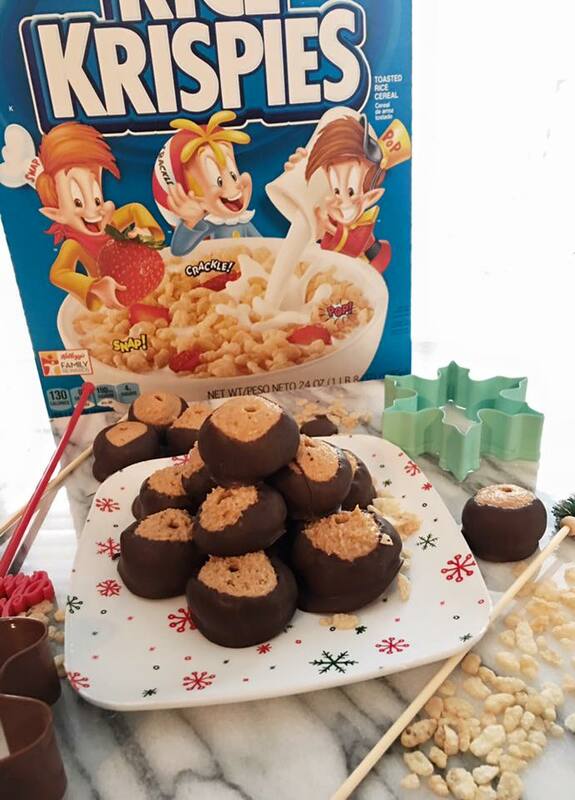 This year we wanted to make a twist on our traditional favorite. 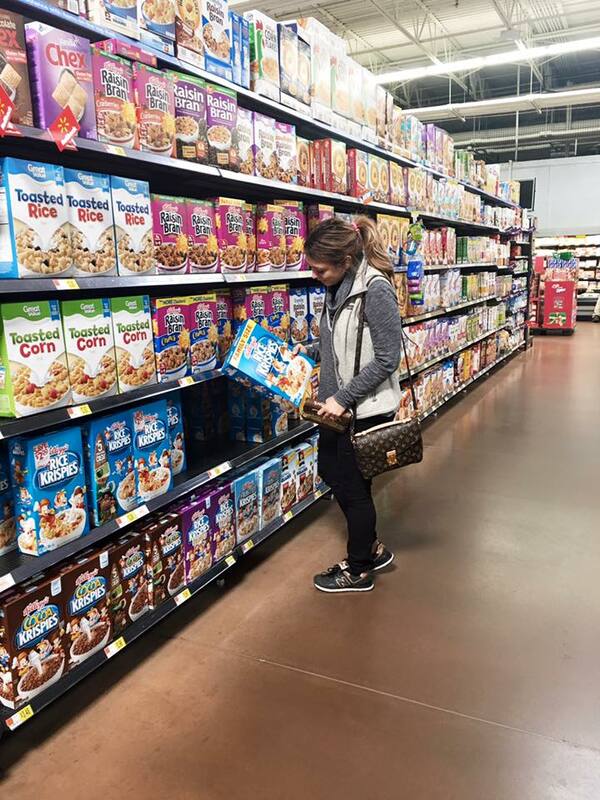 By adding some Kellogg’s® Rice Krispies® cereal to the peanut butter mixture you get a bite sized piece of heaven. 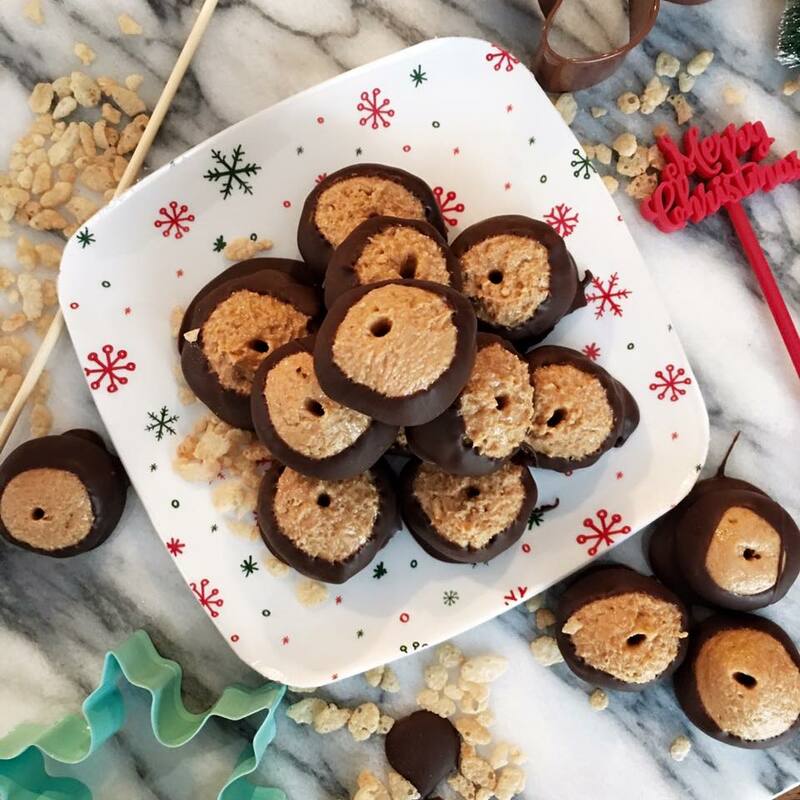 The unexpected crunch is sure to make these stand out at your festive get togethers and cookie swaps. Everyone will be asking your secret ingredient. 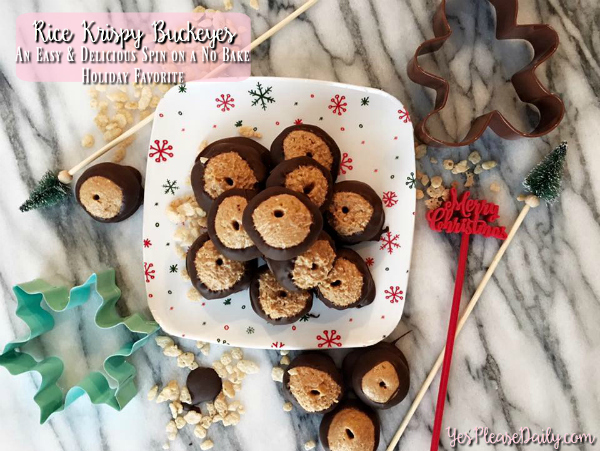 Babe tried one and said this is better than any traditional buckeye he’s even had, then he grabbed a handful and ran out of the kitchen before I could stop him. 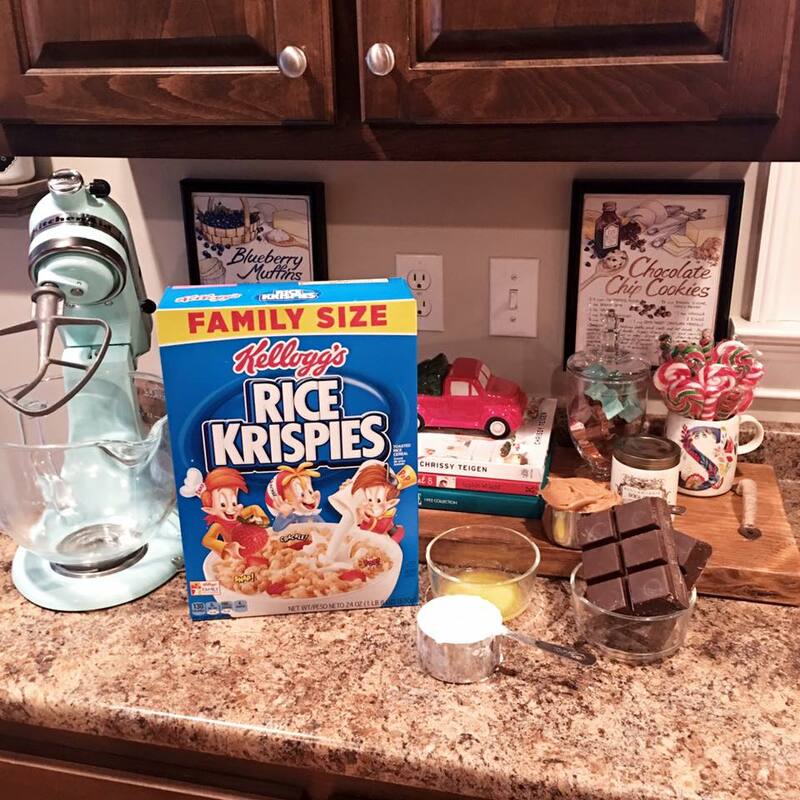 I picked the Family Size box from Walmart because I know my sweet tooth can pop up at any minute and it’s so easy to whip up some good ole fashioned Kellogg’s® Rice Krispies® treats on a chilly night! Another great thing about baking buckeyes, is there is actually no ‘baking’ involved. Anything no bake is a #🙋YesPlease in my book. If you’re new to the kitchen or baking with kids, crossing the oven off your list will always make things easier and safer. Mix peanut butter and melted butter together in a large bowl. Add powdered sugar and rice crispies. Mix until combined. Form into one inch balls. 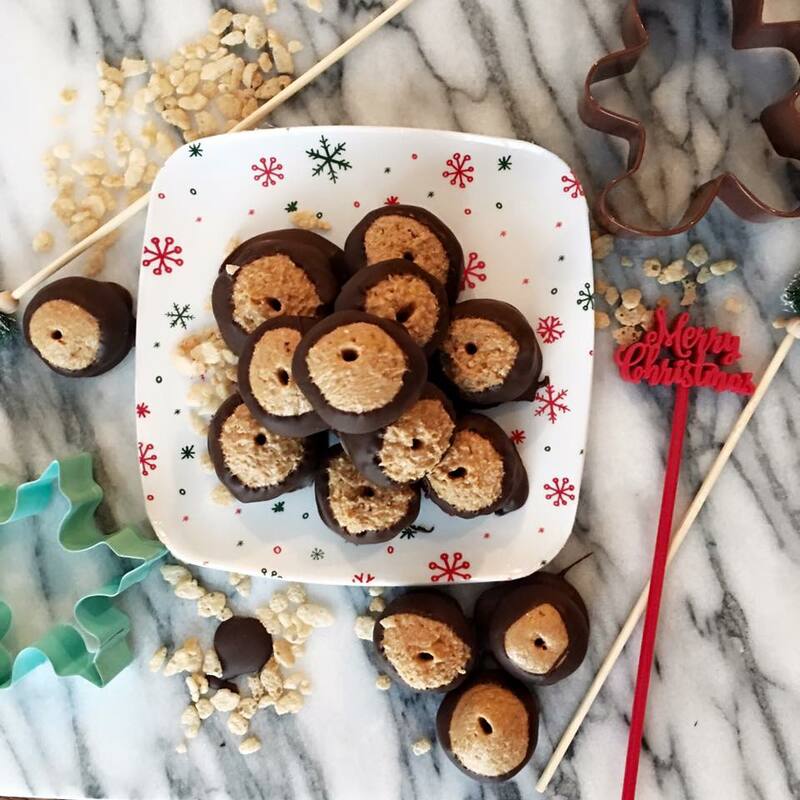 Place the formed balls on a wax paper lined cookie tray and chill in the refrigerator for at least 30 minutes before chocolate coating. Place the chocolate coated ball on a separate cookie sheet lined with wax paper. 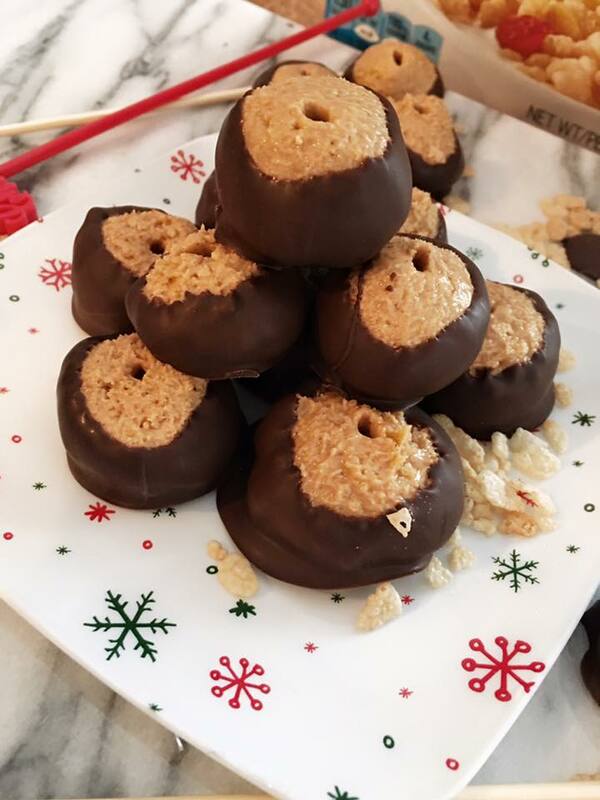 Remove the toothpicks from each peanut butter ball.